In Carnegie, Pennsylvania, a new kind of pharmacy has opened. Its main goal is to build a closer connection between patients and pharmacies. In the future, it will reduce healthcare costs reduction and increase the quality of patient care and medical adherence. The pharmacy, Acorx, opened on March 6. Personnel package medication supplies a week at a time for customers who have issues with keeping their regimen. Special packets are filled with medications for every patient individually. 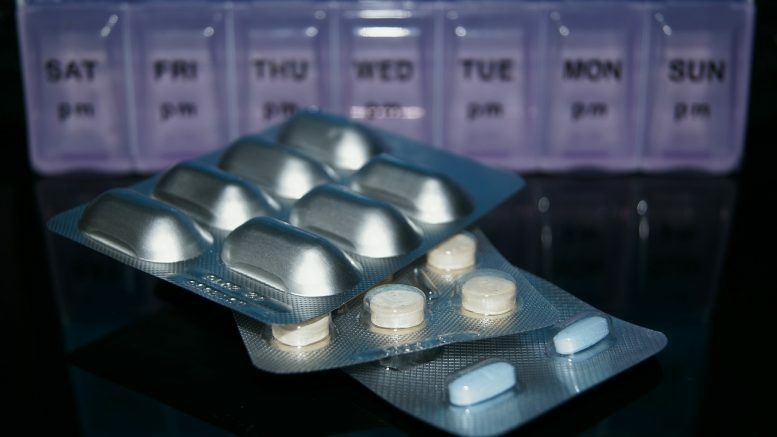 Pills that are to be taken at a specific time during the day are separated and placed into different pockets of the package. Acorx transformed the idea of non-mandatory service into a business idea, said Shawn Nairn, a 47-year-old pharmacist and the founder of Acorx pharmacy. He added that Acorx is part of a new generation of pharmacies, and concierge pharmacy at its finest. Nairn said that his staff knows what is going on with each of their patients. Nairn also owns traditional community pharmacies that operate under the name of Hometown Pharmacy. He has worked as a pharmacist for about 25 years. This system is not something new, since other pharmacies have done it for years, but they have only done it for their best customers or at an additional. Big pharmacy chains, like Walgreens and Rite Aid, don’t have much time to care about their customers’ medical compliance since they serve a huge number of customers daily. Common retail pharmacies even use automated systems to deliver prescriptions to customers as quickly as possible. A good example is Walmart, where the chain’s overloaded pharmacies are about to start using Express Lanes and updated Walmart phone applications to service their customers without them having to stand in line. Quick service in pharmacies leaves no space for communication between a patient and pharmacist, which is very important for keeping medical compliance high. However, it is always a good idea for the patient to find a local pharmacy where it is possible to keep the close connection with a pharmacist. Especially, since the role of pharmacist in healthcare is expanding, and now it is not only about dispensing prescription drugs. The Acorx founder stated that the business has about 1,000 customers and has a 4,000-square-foot store, and it needed about 30% fewer customers to be profitable. More than a dozen people, including delivery drivers, are serving the pharmacy. When the number of customers grows to 2,000, Acorx is going to use automated robotic equipment to streamline the prescriptions. However, some parts of the prescription refilling business have been already automated. Those are the parts that allow the pharmacy to offer free delivery to its customers and control their inventory. Acorx gets its supply from Value Drug Co., a wholesaler located in Duncansville, Pennsylvania. According to the pharmacy owner, this helps to hold down costs of the medications. The Network for Excellence in Health stated that the best predictor of medical adherence is a patient’s contact with a pharmacist or other pharmacy staff member. Nairn’s idea at Acorx is to increase adherence by talking with their customers more than in common pharmacies. According to the Cambridge, Massachusetts-based Network for Excellence in Health Innovation, more than 180 million Americans take prescribed medications. Drug errors cause about 7,000 deaths each year. Low medical adherence is a big issue in healthcare. Doctors have tried to increase medical adherence by many methods, from consultations to special devices (like GlowCap). Patients skip their doses, take lower doses in order to save money, or simply stop taking their prescribed medications. Low medical adherence costs the U.S. about $290 billion annually, according to the National Community Pharmacists Association (NCPA). The other category of patients, those who don’t follow their regimens strictly, cost about $100 billion annually. People who have to take medications that don’t have any noticeable effect on their health, or medications that have to be taken for a long period of time are less adherent—for example, people with diabetes. Medications for diabetics who follow their regimen cost less than $9,000 each year, and cost more than $16,000 annually if patients have low adherence. Also, low medical adherence issues are acute among patients with mental illnesses, where medications are a part of their everyday life, according to Nairn. Elderly people who prefer staying at home rather than in long-term healthcare facilities are another category of people who would like to use Acorx’s services. According to Nairn, he is focusing on building a business that will keep people healthier and reduce the overall expenses in healthcare after he had run several retail pharmacies. Many drug stores also have walk-in hours where they sell medications over the counter. Acorx doesn’t have that type of service, but they operate with referrals from health care professionals. In order to avoid Medicare penalties, the pharmacy is going to be a resource for hospital discharge planners. Those penalties come when patients are readmitted within a month of going home. Furthermore, Nairn said that Acorx has special training techniques and now can talk with customers. This helps them learn more about patients’ needs, and collect data about the issues that could decrease their rate of medical adherence. Nairn said that this were the basis of the industry: to care about people. He added that this was the way it was going to be done. Be the first to comment on "New Generation Pharmacy Opens in Carnegie"